Todd chairs the firm’s health care litigation group. For more than 20 years, he has defended hospitals, multi-disciplinary health systems, physicians, and long-term care facilities in complicated, high-exposure matters alleging catastrophic injury and wrongful death. Through his work, Todd has developed strong relationships with the top medical institutions and medical specialists in the country. Todd has been recognized by his peers as a preeminent lawyer in the areas of medical malpractice, catastrophic injury, brain injury, and long-term care litigation. He has been consistently recognized in Best Lawyers in America, Best of the Bar published by the Kansas City Business Journal, Super Lawyers Magazine, and Best Lawyers in Kansas City published by Ingram’s Magazine. Todd was recently selected as one of the top 50 lawyers in Kansas City, and one of the top 100 lawyers in the states of Missouri and Kansas, by Super Lawyers Magazine. Unanimous defense verdict in a case alleging permanent lower extremity nerve paralysis. Following a total hip replacement, the plaintiff experienced massive blood loss in the hip and thigh and was alleged to have developed compartment syndrome. Plaintiff alleged the standard of care required immediate return to the operating room for hematoma evacuation and nerve decompression. The surgeon, in exercising his professional judgment, determined the risks of immediate exploration greatly outweighed the potential benefits. The patient was returned to the OR four days later when it was believed he was better able to withstand a second operative procedure. Achieved defense verdict in lawsuit involving allegations of peripheral nerve injury. Plaintiff alleged permanent and severe injury as a result of instruments used during cervical spine surgery. On behalf of a regional medical center, achieved voluntary dismissal of an eight-figure claim pursued by a young patient diagnosed with locked-in syndrome. The patient suffered an acute ischemic stroke following two visits to the medical center’s emergency department. After thorough preparation of key fact witnesses and retention of the nation’s leading experts on posterior-circulation stroke, plaintiff agreed to voluntarily dismiss all claims against the defendant facility. Successfully argued multiple cases relating to the professional and medical malpractice statutes of limitation before the Kansas appellate courts. See Bonin v. Vannaman, 261 Kan. 199, 929 P.2d 754 (1996); P.W.P. v. L.S., 969 P.2d 896, 266 Kan. 417 (1998). Achieved defense verdict while representing a national exercise equipment manufacturer. Plaintiff alleged defects in design of a treadmill resulted in a large fire which partially destroyed an apartment complex. Obtained voluntary dismissal of suit alleging negligence in the performance of a gastrointestinal surgical procedure. Procedure resulted in unintended perforation of the patient’s bowel, requiring extensive surgical repair and hospitalization. Achieved a full and final dismissal for the physician alleged to have caused the perforation. Achieved summary judgment for construction contractor which allegedly caused devastating neurologic injuries, including quadriplegia. Case continued against co-defendants, resulting in a multi-million dollar jury verdict in favor of the injured plaintiff. Achieved voluntary dismissal of claims against a long-term care facility alleged to have over-anticoagulated a patient who died from a gastrointestinal bleed. Through retention of a leading hematology expert, identified and pursued causation defenses which established over-anticoagulation would not have explained the patient’s condition, resulting in voluntary dismissal of all claims against the defendant facility. Successfully defended manufacturer whose tool allegedly resulted in a deadly explosion at a gun powder packaging facility. Following cross-examination of key engineering witnesses, achieved a nominal settlement for the manufacturer before costly international litigation ensued against the remaining defendant. Achieved unanimous defense verdict in pharmacy malpractice case. Plaintiff alleged the failure to fill a prescription following gastrointestinal surgery resulted in surgical site failure, a near-fatal bleed, and the need for emergent operative invention. The patient later required a Roux-en-Y gastrojejunostomy. Plaintiff’s theory was propounded and supported by her treating surgeon. Defendant pharmacy acknowledged the prescription was not filled, though established this was not a departure from the standard of care and did not result in the surgical site failure. In a nationally-publicized case, represented the surviving parents of a 10-year-old boy who died following a tragic amusement park accident. On behalf of child’s heirs, achieved the largest wrongful death settlement in Kansas history involving a minor. This followed extensive ride inspections, data analysis, accident reconstruction, choice of law arguments, and identification of numerous target defendants among those who designed, constructed, and managed the amusement ride. Extensive experience in the defense and management of Kansas Medical Malpractice Screening Panels. 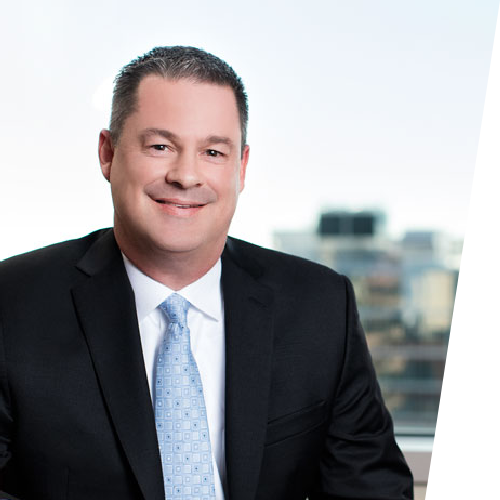 Aside from serving as the court-appointed chairman on numerous screening panels, Todd has successfully defended every screening panel respondent he has represented, resulting in a favorable panel decision for each respondent physician. Extensive experience with the management and defense of professional malpractice claims throughout the continental United States. The choice of a lawyer is an important decision and should not be based solely upon advertisements. Past results afford no guarantee of future results. Every case is different and must be judged on its own merits. © 2019 Scharnhorst Ast Kennard Griffin PC. All Rights Reserved.